MyVillage ™ Christmas Village Mountain Base Display Platform from the range of scenic accessories that fully compliments the Lemax Collection. Suitably pre-formed and pre-painted Winter themed mountain village base is a great platform for an impressive Lemax scene ! A 3D hollow durable plastic resin base suitable for use with the Lemax Villages range or miniature railways providing several multi level platforms suitable for supporting Lemax Buildings, animated table pieces or Lemax figurine displays. The hollow base has holes pre cut in order to run power and accessory cables conveniently. With the possibility of adding trees and other accessories, you can create a wonderful themed scene with this village base. MyVillage™ also supply other scenic accessories such as spray paints, glues and decoration such as coloured gravels, mosses and corks to give a realistic look. Used either on its own or with other bases within the range, this base can make a small table display or a window display. 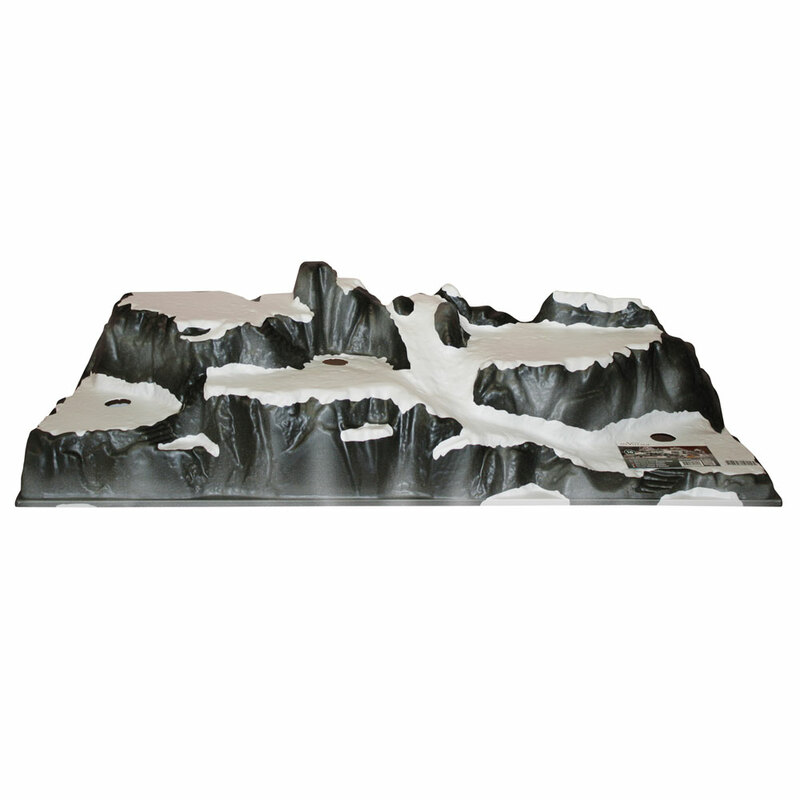 MyVillage ™ bases are ideal for Lemax buildings or figurines but can also be used for any modelling or miniature scenic display.